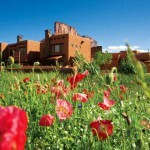 This year Alegre Retreat will span April 12th to April 17th. 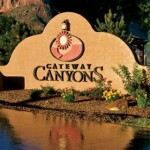 Alegre Retreat will return to Gateway Canyons Resort in April 2020. The conference will feature Jacquie Gering’s class, “Composing with Line”; Jean Wells Keenan’s class, “A Sense of Place”; Laura Wasilowski’s class, “Fuse-Design-Stitch”; Katie Pasquini Masopust’s class, “Jumpstarting Your Creativity”. 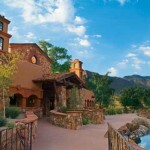 The retreat will span April 12th to April 17th and will include five days of instruction. Students can choose to study with one of our instructors, Jacquie Gering, Jean Wells Keenan, Laura Wasilowski, or Katie Pasquini Masopust and hear lectures from all four. Students are also welcome to come in early or extend their stay to enjoy the resort at the Alegre Day Student rate (call the resort for details 970-931-2725). Closing banquet lecture with Katie Pasquini Masopust – What’s up?! 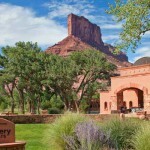 There are so many ways to enjoy Alegre Retreat, the premier art quilt conference at Gateway Canyons Resort. Katie Pasquini Masopust wants to enable all who wish to participate a chance to experience this exceptional quilt retreat. She hopes that not only will Alegre Retreat provide an enriching experience for her committed quilters, but also that by reaching out more widely, Alegre Retreat will be able to broaden awareness of the fabric arts and deepen the quilting community. Those who attended Alegre Retreat last year know to prepare for an unforgettable experience . . . first time attendees should expect to be wowed! 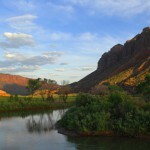 Gateway Canyons, Colorado is a land of stunning views, magnificent rock formations and soul calming rivers. It is an area that has long inspired travelers, from the ancient Native American tribes that first settled there, to the pioneers of yesterday, and quilters of today. 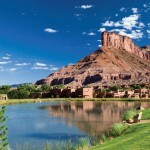 This setting, combined with the resort’s mission to celebrate the finest in Fiber Arts, makes Gateway Canyons the perfect host for the Alegre Retreat. You’ll also find all the pampering and/or adventures necessary to complete the perfect learning vacation! Registration begins Saturday, April 20th, 9:00am Mountain Time. All participants registered for 2020 are eligible for a drawing to win a free participation package for 2021!